Rest day. For some, these two word are the two most beautiful words in the English language; for others, they represent a necessary evil. It’s the (only?) day of the week when you don’t exercise, because you… shouldn’t. Study after study says how too much hard exercise too frequently with insufficient rest can lead to fatigue and decreased performance. This we all know and want to avoid. But how do we accurately determine the right time to spend this mysterious day of cruel SED, or Severe Endorphin Deprivation, as many of us exercise junkies see it? Is there a Yield From Physical Activity sign which we should obey? Surely, muscle soreness can’t be it, because then every other day would be a rest day for many athletes. Or do we just look at our training calendars and guesstimate? If so, what’s the formula we should use? Two days of hard work-outs, followed by one day of going easy? How do we then define what’s hard? The body knows best, they say, and while this may be true, we shouldn’t always believe what it tells us. For instance, the fact that it’s rainy outside and we’ve had a long day at work does not equate rest day – at least not on the grounds of a physical need – even if our body seems to show reluctance to get off the couch. Other times the stiffness we experience might not be from too much exercise, but from the opposite. Contrary to logic, a lot of sitting does not recharge our batteries and prepare us for physical activity. After eight or nine hours in an office chair, our bodies are unwilling to change their modus operandi and so they tell us they are too tired to do anything, when in fact a good, invigorating physical exercise is often exactly what we should give them. So, yes, it’s usually a good idea to listen to your body – except when you’re body is trying to BS you and act against your own best interests. A lot of studies seem to agree on one parameter we can use as an indicator of our body’s readiness for physical exercise: our heart rate. You know the feeling when you walk up a short flight of stairs – perhaps the same one you walk up every day to get to your office – but the usually light effort one day gets you disproportionately breathless? And on top of that, your heart rate doesn’t seem to come down, even after you’re seated? This is often the most noticeable plead for rest from your body; its way of telling you it can’t cope with what you’re asking it to do. It can also be a signal of an approaching illness, such as a cold – an equally good reason not to push your heart any harder. How can I track my recovery? As mentioned in our earlier post about Training Load, the Training Load calculation (available on Polar V800 and Polar M430) shows you a recovery time estimate after each workout. For those of us who want more accurate and holistic feedback on where we currently are on the scale of Let’s Go! vs. Hold Your Horses, there is a fantastic way to dig deeper into this: Recovery Status. Recovery Status is a tool that helps you keep track of the cumulative strain your body faces with training and all other daily activity. It also takes into account your general training background, and uses all this data to calculate an estimate of your current recovery level. Recovery Status calculations are based on heart rate measurement, which is a fantastic way to assess exercise intensity, especially during endurance training. Recovery Status helps you not only learn where you are at the moment in terms of recovery, but it also assists you in understanding what your body’s level of exercise tolerance is, and how much you need to let it rest. Learning the ratio and finding the ideal balance between training and recovery is like learning the recipe for optimal training benefits. Recovery Status evaluates your current state on a four-step scale: Balanced, Strained, Very Strained, and Undertrained. Strained signals a higher training load, which is sometimes required for improved fitness and performance, whereas Very Strained says you’ve been training very hard lately. While this, too, will over time improve your fitness, you need to also give yourself enough time to fully recover before the next big push. Undertrained signifies that your recent training load has been lighter than usual. Where can I check my Recovery Status?  If you’re using Polar V800, you can check your Recovery Status by tapping the screen or in the Polar Flow web service. With Polar M430, Recovery Status can be found only in Polar Flow. You’ll find the Recovery Status view under the Diary section. The view shows you an estimate of the current level of physical strain and shows how the level decreases with time (assuming you won’t go at it again). The purpose of Recovery Status is to help you find the right balance between training and recovery. Similarly to Training Load, it’s based on heart rate measurement, which makes it most useful in endurance sports.